I’ve learned that people will forget what you said, they will forget what you did, but they will never forget how you made them feel. Seeing the world through the eyes of your players is fundamental if you want to get the very best from them. Each player is unique, with a different profile, personality, and purpose. True empathy unlocks your ability to relate to their tensions, anxieties, frustrations, and ambitions. When you understand the person, you get double from the player. We are human beings; we all feel the need to be valued and loved, to contribute, and to feel connected. This book was written from the perspective of attempting to understand the practical experiences of coaches. It was written so that they may apply the principles within it to improve their coaching and themselves. There are two fundamental truths at the heart of effective modern day and future coaching – leadership and management – and, of these, the very best coaches think forward. To stay ahead of the game, they operate in the present, but they think in the future. What worked yesterday won’t work today. What works today will not work in the future. Here’s why. – Yesterday, hierarchy was the model; today, successful teams are bred on equality. – Yesterday’s leaders commanded the ship; today’s facilitate their crew’s synergy. – Yesterday’s managers demanded respect; today’s encourage self-respect. – Yesterday’s employees waited for orders; today’s teams innovate. – Yesterday’s senior status signified superiority; today, collaboration is king. – Yesterday, results drove value; today, your core values drive the results. – Yesterday’s leaders commanded control. Tomorrow’s leaders must inspire and empower. And nowhere do you see these things more than when working with your players. Dictatorial leadership is dying. High-performance engagement and training in the modern football world is based on effective negotiation underpinned by an appreciation for human personality and motivational values. 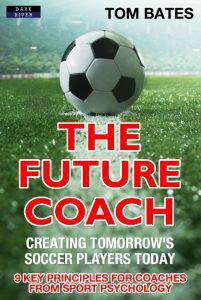 The coach of the future is not an X’s and O’s strategist (though this is, of course, a non-negotiable foundation), they are a developer of people, and will require an unparalleled knowledge and appreciation for the nature of human development. This is true for coaches working with players at all levels of the game, from the grassroots community and academy to the senior professional and international stage. The stupid footballer is dead. The availability of information through the internet means that players (like people) don’t blindly follow anyone, anywhere, anymore. They learn and gain knowledge independently. Accordingly, the leaders who only know how to dictate will die. 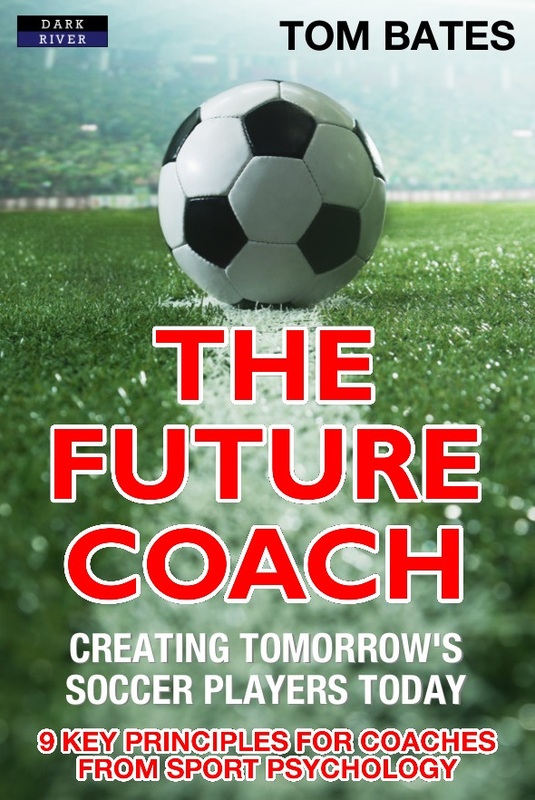 The future coach is a coach who recognises the importance of building psychological confidence through task clarity and emotional connection. Creating effective winning relationships with players is, as research teaches us, a unique blend of affection and authority. Ultimately, they found two factors that defined the effectiveness of each teacher. The first they labelled control, a characteristic that reflected the ability of the teacher to maintain order and task progression within the learning environment (e.g., keeping students’ behaviour in-check and on task). The second was warmth. This quality reflected the level of affection and positive energy the teachers elicited whilst teaching, typified by inter- and intra-personal qualities and characteristics. From these two factors, four main teaching styles were categorised and rated for their corresponding effectiveness within the learning environment. The first style was labelled as Militant. This type of teacher has complete control in the environment, dictating with precision and power. Students corresponded with compliance and clear non-negotiables in terms of behaviour were established and corrected immediately. High in control, but low in warmth, this type of teaching style was effective but not found to be optimal. Although task compliance was very high, students did not always feel they could ask questions relating to the task as they felt afraid or nervous about asking a ‘stupid question’ or feeling negatively judged by their teacher. The second teaching style highlighted was Neglectful. This type of teacher – low in control and low in warmth – created an unstructured learning environment in which the students did not feel cared for. The third teaching style identified in this ground-breaking educational research was labelled as Permissive. Typified by high levels of warmth, students loved having fun in the classroom, but whenever the teacher needed to take control or move the lesson forward, they struggled. Locked in a perilous fight to shape the structure of the lesson, students became unruly and unfocused.